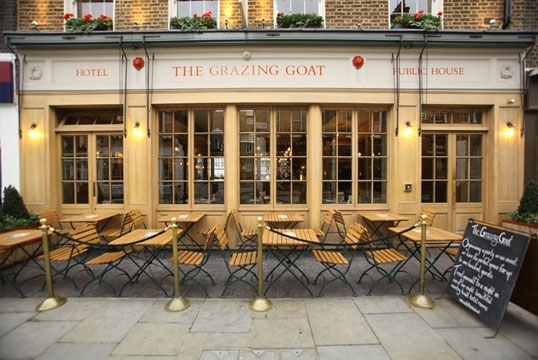 A pub with rooms and a seriously youthful spirit, The Grazing Goat is centrally located in a chic enclave behind Marble Arch. It has a rich aristocratic history (it marks the spot where Lady Portman once grazed her goats, which she kept because she was allergic to cow's milk), and thanks to its iron beams and oodles of French Oak it has a rustic English style in the heart of the capital. It's also every inch the food lover's heaven, perfect for settling down after a day of exploration. One of the most beautiful cities in the UK has to be Bath, home of the Roman spa in the UK. Adding to the luxurious experience that's inherent in this city is a stay at The Queensberry, a conversion of four 18th century town houses with high ceilings, Georgian proportions, and wonderfully positive and friendly staff. If it's on the menu, don't forget to try the crab lasagna to complete the day with a smile. The clue is in the title on this one, in the heart of the illustrious city of Oxford, the Old Bank hotel is indeed a former bank on the High Street opposite All Souls College. A contemporary conversion of three stone buildings, they are accommodating, friendly and in the perfect location for exploring. There is also a collection of young British art displayed in the corridors and bedrooms; fitting for a city built on academia and great thinkers. In the medieval city walls of Southampton, the shabby chic Pig in the Wall is a unique and brilliant concept that really is all about the food. Think beamed ceilings, iron fireplaces, open fires and really good nibbles; this is the sort of place that really feels like a magic experience thanks to the careful eye of owners Robin Hutson and David Elton. A rustic B&B in a secluded spot in Devon, Tor Cottage is surrounded by trees and gardens that are frequented by deer, pheasants and badgers. The wildlife and location is all part of the charm exuded by the destination itself. With a rocking chair on the verandah, and a barbeque area for the summer it's all about local food and peace and quiet.